Daily Slideshow: Take a look at these special edition Jeeps introduced at the 2019 Geneva Motor Show. First up, Jeep showed off several Mopar-upgrade models including this Renegade Limited. 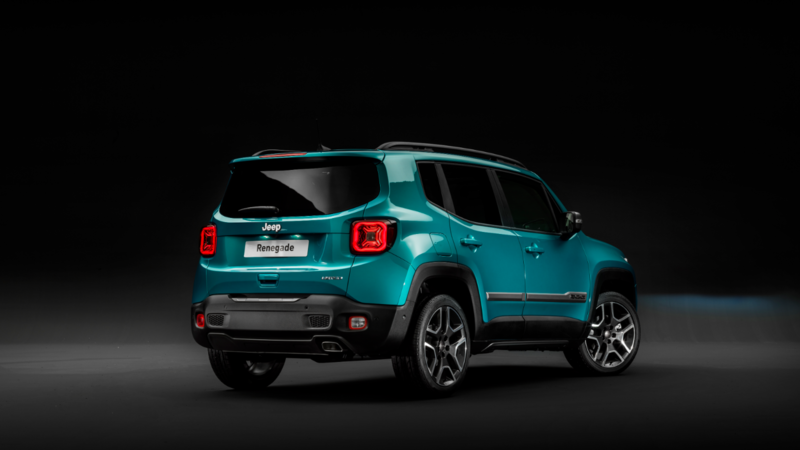 According to Jeep, the Renegade is painted in an all-new "Bikini" body-color exterior. Jeep says this Renegade is characterized by special urban customization including rear scuff plate, front dam, unique side moldings, and door sill guards with Jeep logo. >>Join the conversation about the special European Jeeps right here in JK-Forum.com. This "Bikini" colored Renegade Limited gets an icy white "Polar Plunge" leather interior. Jeep says the cabin offers a cargo organizer and carpet mats. While the U.S. might not get this color combo, it's definitely cool to see fresh Jeep designs. 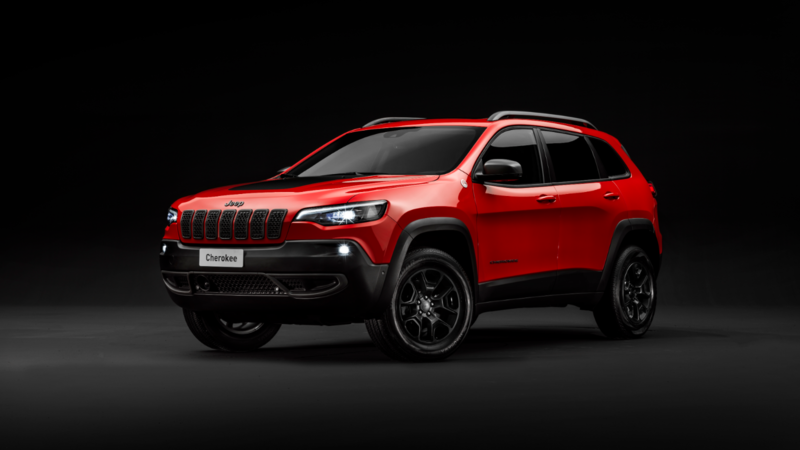 Next up is the Jeep Cherokee Trailhawk, which launches in Europe this year to round off the Cherokee lineup. It wears the traditional Jeep "Trail Rated" badge on the Firecracker Red Clear Coat that certifies it was designed to perform in a variety of challenging off-road conditions identified by five key performance categories: traction, ground clearance, maneuverability, articulation, and water fording. Jeep notes the Trailhawk is loaded with Jeep off-road hardware, 17-inch off-road tires, aggressive approach and departure angles, unique front and rear fascia and skid plates, in addition to a 2 cm factory lift. Similar to its U.S. counterpart, Trailhawk is powered by a new-to-Europe 2.0-liter turbo delivering 270 hp paired with a nine-speed automatic transmission. 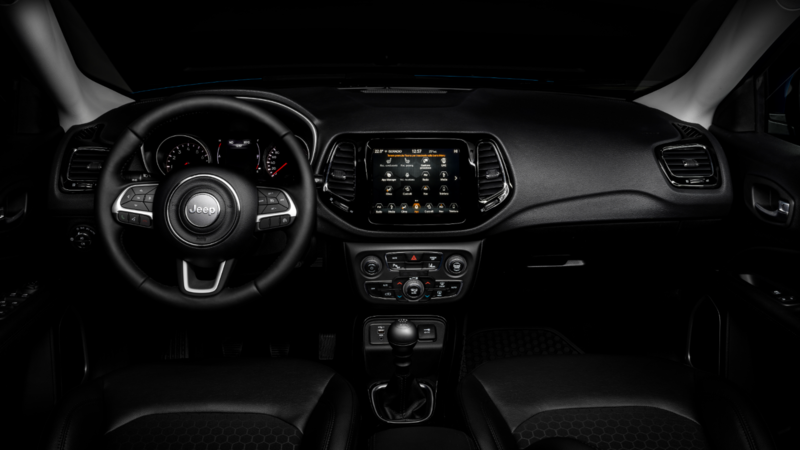 The Trailhawk comes equipped with front and rear parking sensors, Adaptive Cruise Control, UconnectTM 8.4-inch navigation system with Apple CarPlay and Android AutoTM, configurable 7-inch TFT color screen, a Premium sound system with nine speakers and subwoofer, and unique interior badging. Trailhawk also comes with a suite of safety tech including Active Speed Limiter, Forward Collision Warning Plus with pedestrian recognition, Advanced Brake Assist, Lane Departure Warning Plus, Blind Spot Monitoring, Rear Cross-Path Detection, Keyless Enter-N-GoTM, and Parallel & Perpendicular Park Assist. 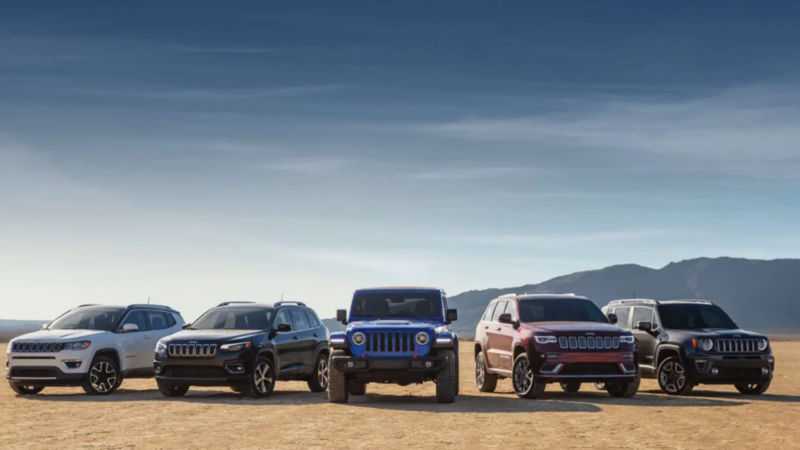 Jeep is also launching an 'S' model line for Compass, Cherokee, and Grand Cherokee in Europe. The Compass S enhances its sporty-metro look with an S-standard two-tone Pearl White exterior with black roof and new specific 19-inch Low Gloss Granite Crystal wheels. Inside, 'S' models also get a black leather interior with contrasting tungsten color stitching, anodized Gun Metal central console bezel. Other features of this special edition include Bi-Xenon headlights, automatic high beams, power tailgate, Adaptive Cruise Control, Beats sound system and electric 8-way seats. 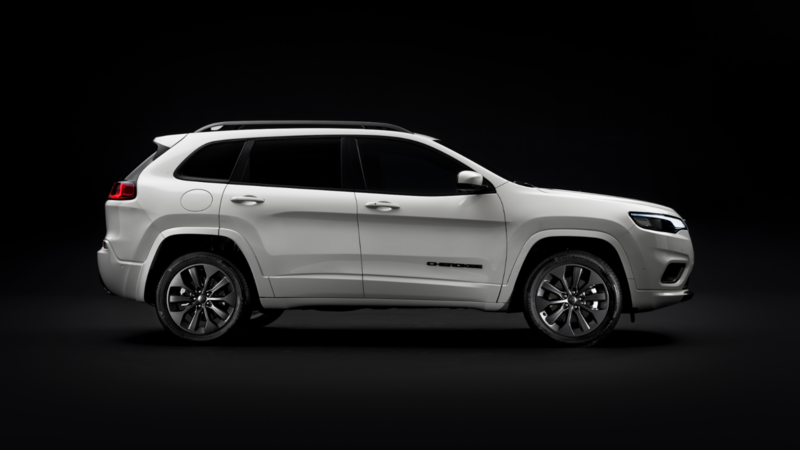 Both Cherokee and Grand Cherokee get 'S' models as well. 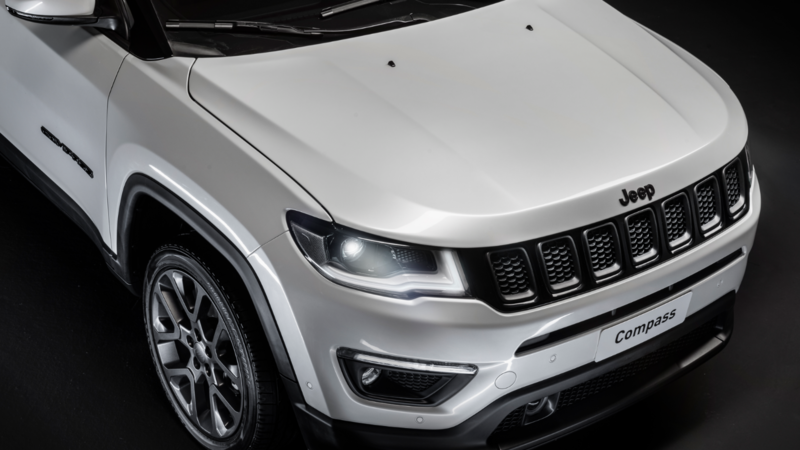 The new Cherokee S boasts sporty appeal characterized by its distinctive styling including Nappa leather black interior fabrics featuring tungsten accent stitching on seats, armrests and center console. 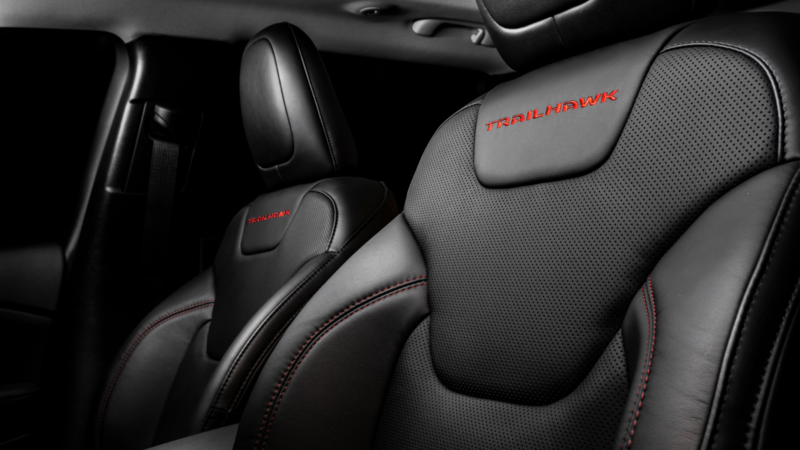 The Grand Cherokee borrows distinctive design cues from the Grand Cherokee SRT model. Front and rear fascias boast a model-specific design with Low Gloss Granite Crystal finishes. The new special edition model sports SRT-style performance hood, while the bespoke side skirts and the unmistakably Jeep fender flares, capable of evoking strength and elegance, provide a stand-out appeal. Only the Cherokee comes standard with a suite of driver-assist and safety tech. The Grand Cherokee comes equipped with FCA's 3.0-liter V6 direct injection Common Rail diesel engine featuring Multijet II technology that delivers 250 hp. The Cherokee uses a 2.0-liter gas turbo that pushes out 270 hp. 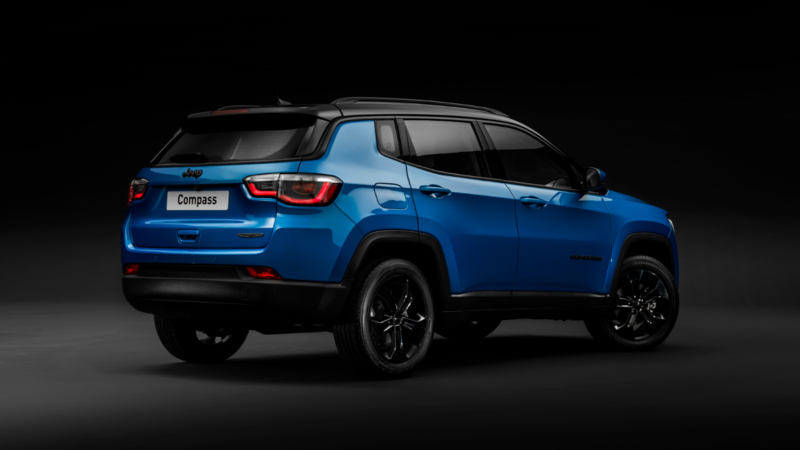 Last but not least on the Geneva Jeep-special-edition-extravaganza list is the Compass Night Eagle. The Compass Night Eagle on display at Geneva featured a 1.4-liter 140 hp petrol engine paired with manual transmission. The interior sports a cloth/techno-leather. 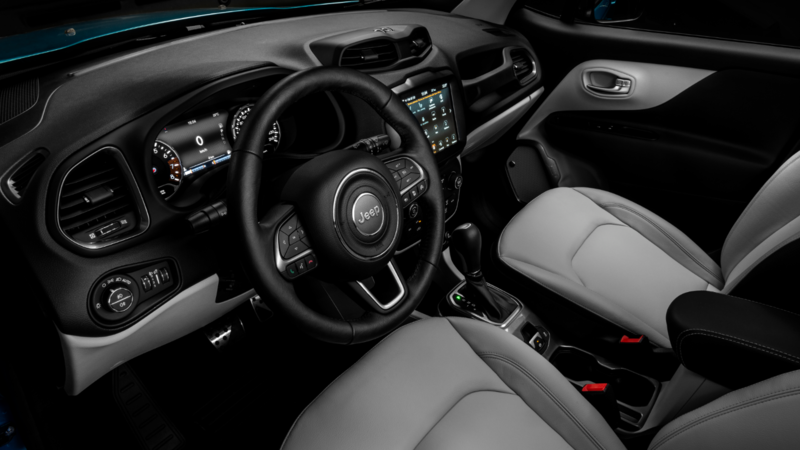 It came packed with Jeep's 8.4-inch UconnectTM touchscreen radio and navigation system, as well as ParkView rear camera with dynamic grid and rear parking assistance. Night Eagle gives Compass added exclusivity, delivering a bolder, sportier look. The exterior features black accent treatment and the vehicle is enhanced by a generous standard equipment list like the 'S' line. Night Eagle also comes equipped with 19-inch tires mounted on Gloss Black and Diamond Cut aluminum alloy wheels. It sports a Laser Blue exterior with black roof. After record sales in 2018, these special edition Jeep models should help keep numbers up for this year. While the U.S. market may not get access to these special edition models, it is cool to see how our European counterparts appreciate their Jeeps being spec'd. We still have our own special edition models, so I think we'll survive.